Best prices on the prairies! In recognition of the selfless acts of service to our country, please enjoy a “Canadian Forces Appreciation Discount” of up to $1000 on vehicles on almost every new Chevrolet, Buick or GMC vehicle. All active, reserve and veteran military personnel (including spouses) are eligible. Plus, this great new offer can be combined with other retail discounts and partner programs that really add up to savings! 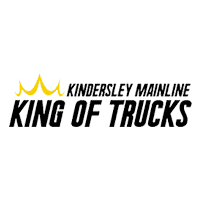 To participate, simply bring proof of either a current or past Canadian Forces membership to Kindersley Mainline in Kindersley. At General Motors, we know just how important mobility is if you have a disability. That’s why we’ve created the GM Mobility Program. It’s designed to help people with disabilities access the resources they need, and get a reimbursement of up to $1,000 towards the cost of adapting an eligible new Chevrolet, Buick or GMC. Put your GM Card Earnings towards purchasing a new GM vehicle. Students and recent graduates can get up to $750 off the purchase of an eligible new GM vehicle. Current employees of eligible Preferred Pricing companies can purchase or lease an eligible new Chevrolet at GM Employee Price. GM warranties and programs offer the added coverage you’re looking for, so you can fully enjoy the pleasures of owning a GM vehicle. To learn more about a specific GM warranty and its associated programs, simply click on the vehicle warranty you are interested in.